Donald O. 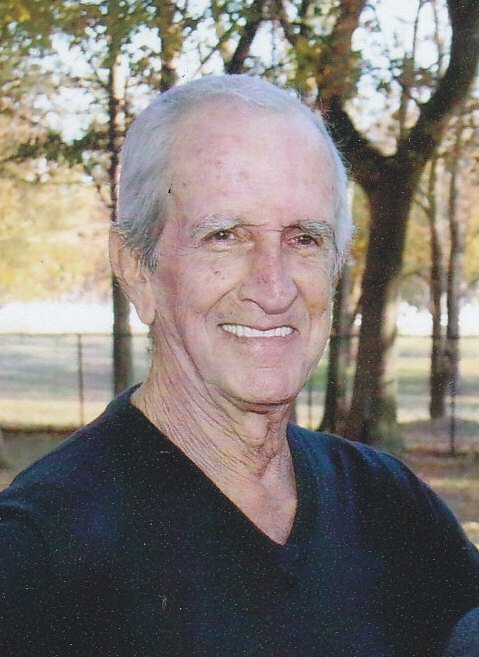 “Duck” Price, 77, of Southaven, MS, was born December 28, 1939 in London, Arkansas and passed away Tuesday, January 31, 2017. Mr. Price was preceded in death by his parents, Leroy and Gwen Price. He is survived by his wife of 57 years, Nancy Boyd Price; one daughter, April Meggs and her husband, Jerry; one son, Jimmy Don Price and his wife, Paige; five grandchildren, Justin, Jessica, Brandon, Megan, and Pearce; and nine great grandchildren. Visitation will be Friday, February 3, 2017 from 11 AM until the service begins at 1 PM at Twin Oaks Funeral Home in Southaven. MS. Burial will follow in Twin Oaks Memorial Gardens in Southaven. I just came across this. Uncle Donald was just that, my uncle. We kept track for a while by email, but not the last several years. God bless you, Aunt Nancy, April Ann, and all the grandchildren, great-grandchildren. Our sincere condolences with prayers at this most difficult time. His legacy lives on through the blessings of his children and grandchildren, as he rests on angel wings in God’s hands. Betty and I are grieving with you at the passing of Ducky. Duck was more than just a brother-in-law to me, Duck was our friend. Duck had so many good traits and was a man that a younger man could look up to and pattern his life after. As the old folks used to say, Ducks’ “word was his bond” and his honesty spoke volumes about his character. Ducky’s character and qualities shines through in the lives of both Jimmy Don and April of whom Duck was so proud. The faithfulness, kindness and care that Ducky showed to you, Nancy in the last few years was outstanding and oh so precious to Betty and me. God Bless each of you in the days to come with precious memories of a good man. Aunt Nancy, April and Jimmy Don, my prayers and condolences go out to you and your families. I have so many fond memories of Uncle Ducky. May the love of your family comfort you in this difficult time and our prayers bring you peace. We are only a phone call away if you need anything. Aunt Nancy, Jimmy Don, Paige, April & the grandkids….I’m so sorry for your loss..Please know that our hearts are broken for you. I loved Uncle Ducky. Use to love to hear him talk about the Razorbacks. He’d get all fired up.